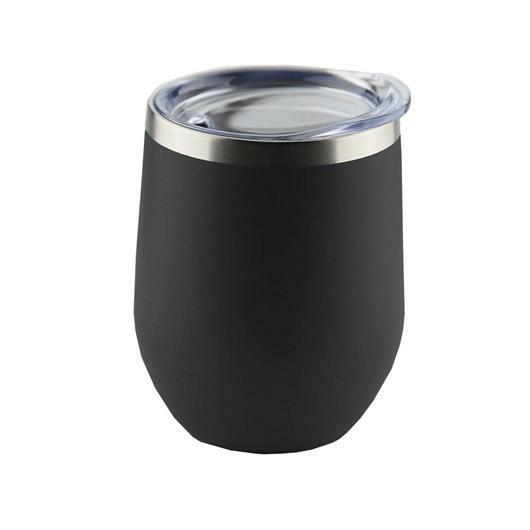 These cups are great for coffee or as a wine glass/tumbler and come in a great range of colours. 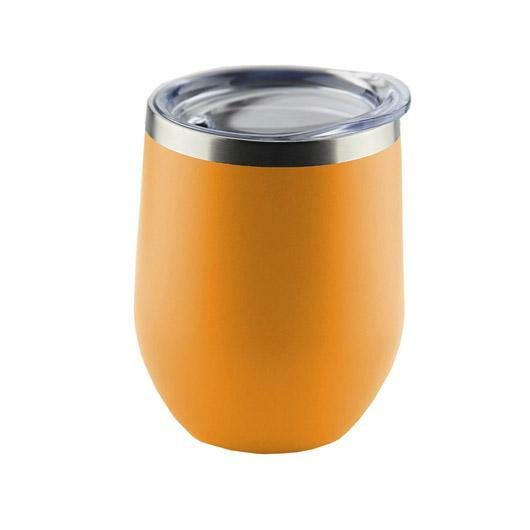 Designed as either a wine cup or re-usable coffee mug these 350mL egg shaped cups are a versatile option. 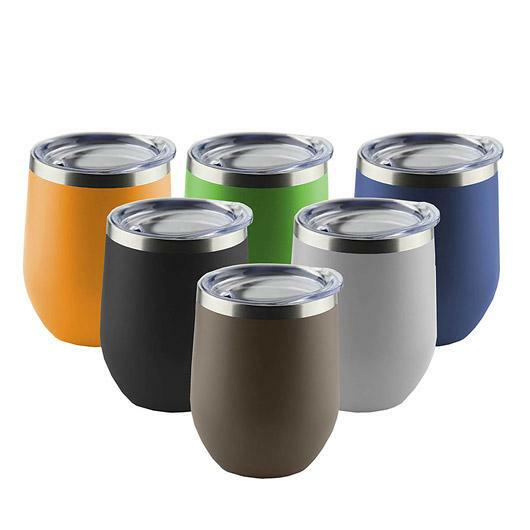 They are made from high quality stainless steel and utilise double walled vacuum insulated technology that keeps drinks cool for around 7-9 hours or hot for around 3 hours. They are 100% BPA free and have a push-seal plastic lid and powder coated matt finish exterior and electrolysis interior. Comes presented in a white paper box.